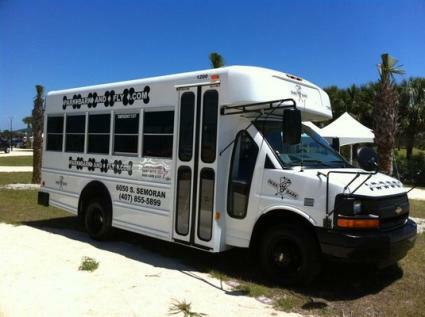 Convenient location, good shuttle service. However, I had paid online for seven days and pulled a ticket when I checked in. When I checked out the clerk seemed confused about the online payment. I had a very clear e-mail confirmation of payment with all necessary information but it took a good ten minutes and several people and phone calls before I was finally cleared. The clerk was new and apologized but after a 10 hour flight the only thing that matters is getting to a hotel room or home. Offering paved self-parking; continuous free shuttle service; luggage assistance; and a secure, lighted lot that is open 24/7, Park Bark and Fly is located close to Orlando International Airport (MCO). Quick check-in service with your SimpleAirportParking.com receipt enables you to park and get to the airport without delay. Additional services, including car wash and detailing, are available while you are away. Inquire at front desk for additional info. 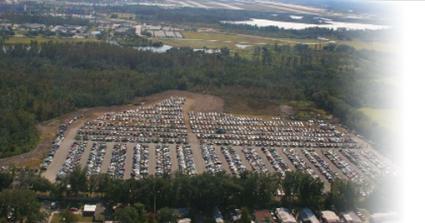 SAVE YOUR SimpleAirportParking.com prepaid receipt to show upon your return as you leave the lot, if necessary! NOTE: This PREPAID parking receipt MUST BE SHOWN to the cashier upon departure as well as arrival at Park Bark and Fly. Upon arrival at the parking facility, find an empty space, park your car, lock, and take your keys. The free shuttle will pick you up at your car with luggage assistance provided. Due to the large numbers of holiday travelers, you might be parking on our grass lot; we will always have room to accommodate you during the holiday season. This lot is located just south of Hoffner Ave. on the right-hand side if you are heading toward the airport on Semoran Blvd. For best directions, enter your address and the lot address in Google Maps or MapQuest. 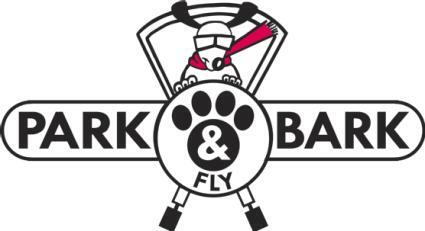 Park Bark and Fly offers continuous shuttle service to MCO and will drop you off at the Departures terminal for your airline. Please arrive at least 15 minutes before you wish to arrive at MCO. Upon your return, call 407-855-5899 for pick-up after you retrieve your luggage. Proceed to Level 1- Ground Transportation area. When you return to the lot, the shuttle will drop you right at your vehicle where friendly staff members will again help you with your luggage. This large, secure parking facility close to MCO aims to provide a much cheaper alternative to parking directly at the airport as well as superior customer services. Whether parking your vehicle for one day or long-term, you can be assured of its safety while you are gone.